A couple that wears matching pajamas together, stay together. 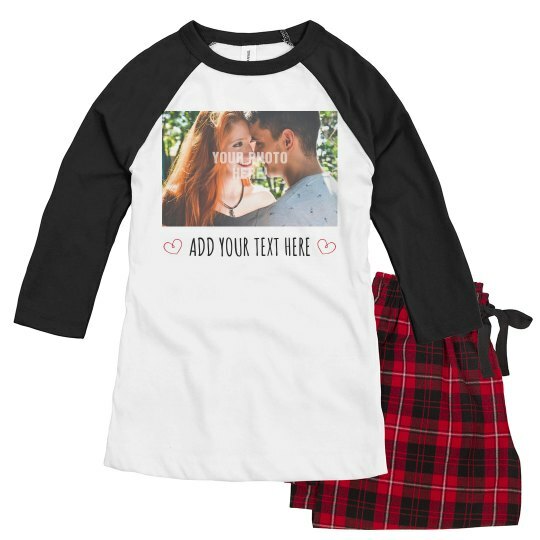 Celebrate the month of love this Valentine's with these custom couple pajamas. Make one for you and your bae to snuggle into by uploading a photo of you two together that will always remind you both of the love you share.